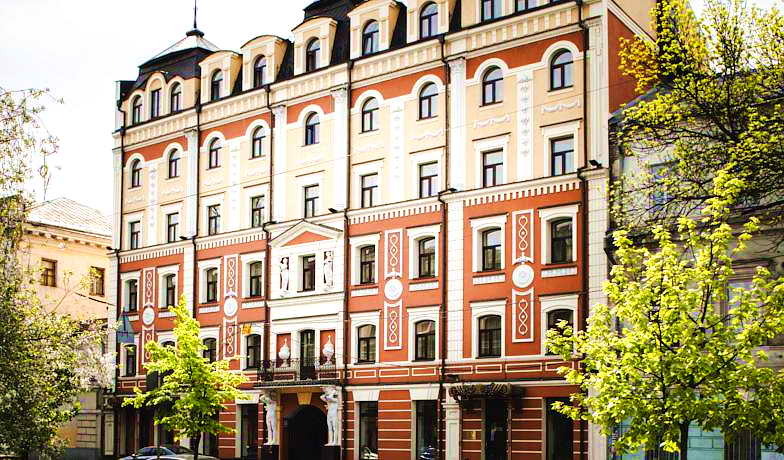 Unique four stars boutique hotel “Podol Plaza” creates a distinctive charm of elegance & antique style in the historical centre of Kiev. It has all the advantages of a large establishment, yet exudes the warmth, intimacy and attention to detail, which only a privately owned hotel can afford. The hotel Podol Plaza is located a few steps from museums, Orthodox cathedrals, theatres and important companies with offices as well. Hotel offer you 57cosy rooms for 124 guests. Combination of the picturesque view and warm colour decoration makes each room unique and unforgettable. 24 service of reception, concierge, room Service, parking, fax, meeting Room (25 person), transfer, laundry, ticket service, luggage storage, dry cleaning, ironing service, daily maid service. Originally designed single room offers the best in boutique hotel standards. The Standard Single rooms are as individual as our guests & have all modern facilities. Average area is 15 sq.m. Standard Double room allocates according to your needs. Electronic locks, lighting & personal safe, modern plumbing, hermetically sealed windows & doors are the attributes of a world-class king room. Average area is 25 sq.m. Elegant Italian furnishing, warm colored decoration creates a cozy atmosphere. Each room has large sitting areas, a chair and a table for your comfort and privacy. Two separate beds 100 cm wide. Average area is 26 sq.m. 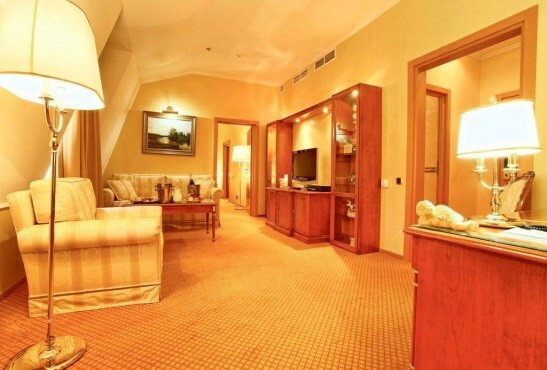 Furnished in warm colors, which complement the cozy ambience this romantic Executive Double screams of luxury. Great king size and ample lounge areas combine to offer sophisticated and comfortable living space morning, noon and night. Average area is 33 sq.m. Featuring sophisticated room with big sitting area & desk space. This richly designed & very spacious grand Executive Twin is inspired by Italy & features two classical twin beds. Average area is 27 sq.m. Suite includes two rooms, an anteroom, a bathroom, a mini bar, a tea/coffee set, and a comfortable bedroom with king size bed. Two-room Junior Suite is generous in space and unique architecture details. The bathroom is of the highest caliber. 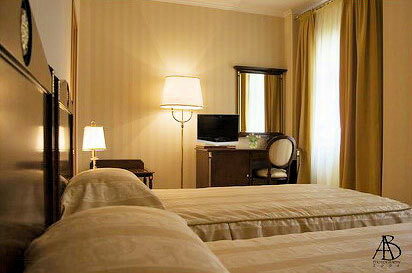 There is minibar, personal safe and other conveniences of a junior suite of the European standard. 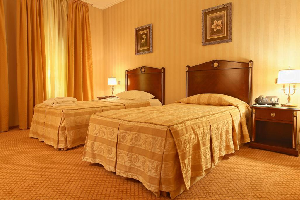 The furnishings are all exquisite, guaranteeing you a memorable and relaxing stay. Average area is 48 sq.m. The boutique hotel "Podol Plaza" offers you the best service. Rent a conference room for conferences, seminars, trainings and business meetings in the heart of historical Kiev. A conference room is a comfortable 35 square meters with modern equipment and can accommodate up to 22 persons. A climate control system is a feature. We offer a video projector, a sound system and wireless microphones, presentation flipchart, videoplayers and DVD and the latest generation of equipment for video conferences and seminars. You can always print and scan the information on an Internet-connected computer as well as a fax machine. Rent of conference room in the hotel - the best option for events with participants from other cities:here you can book comfortable accommodation and thereby advance solve two challenges - housing and office space. Boutique hotel «Podol Plaza» invites You to visit restaurant «Gallery» to assess the sophistication of European cuisine, stylish interior and pleasant environment during the meal. An exclusive Italian furniture and décor, atmospheric lighting and music – it`s all about the restaurant «Gallery». In addition to the magnificent menu of European cuisine, excellent wine list and a wide selection of cigars the guests of the restaurant «Gallery» have the opportunity to taste delicacies and drinks, which will only accentuate the exquisite beauty of the situation. The interior of the restaurant «Gallery» is designed in a light antique style and consist of 3 halls, summer terrace and bar. 100 people can simultaneously enjoy European cuisine. In one of the hall of the restaurant from 7:00 am to 11:00 am a la carte (menu) Breakfast is served. The restaurant «Gallery» works fill the last visitor. The comfortable pastime and maximum attention to You in «Gallery» restaurant are guaranteed.